It feels like an age since I last shared some outfits with you but I've been busy with boring things like cleaning my room, going on a first aid course and recovering from a horrid illness. Being ill is always a fab excuse to get people to bring you tea and cake though so it's not all bad. My brother took these photos for me and insisted that I look like a witch in this outfit which I'm going to take as a compliments because Sabrina, Sarah Sanderson and Eglantine Price were pretty much my favourite characters as a kid. 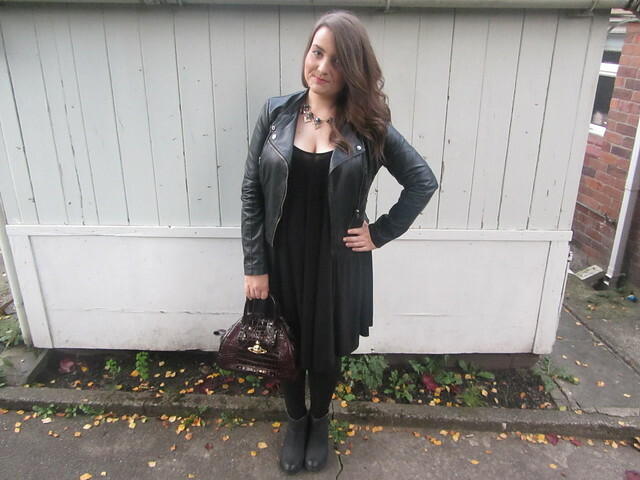 The jacket and boots are trusty favourites and the dress was a bargain from boohoo at about £15 with 15% off on top of that. My bag is my new baby, pride of joy and treasured item. Bit OTT? I really do like this bag and had a splurge on payday and treated myself to it because I felt ill. That's a good enough excuse right? I write about my love of Vivienne Westwood on here pretty frequently and have been able to build up a little collection by saving and being spoiled and getting them as gifts. I've always loved Vivienne Westwood, the person and the brand. All the different reincarnations appeal to me from the 430 Kings Road/Punk era, the pirate/Romantic look of the 80s, her use of British wool and the emphasis of the hourglass figure in her Anglomania collections. 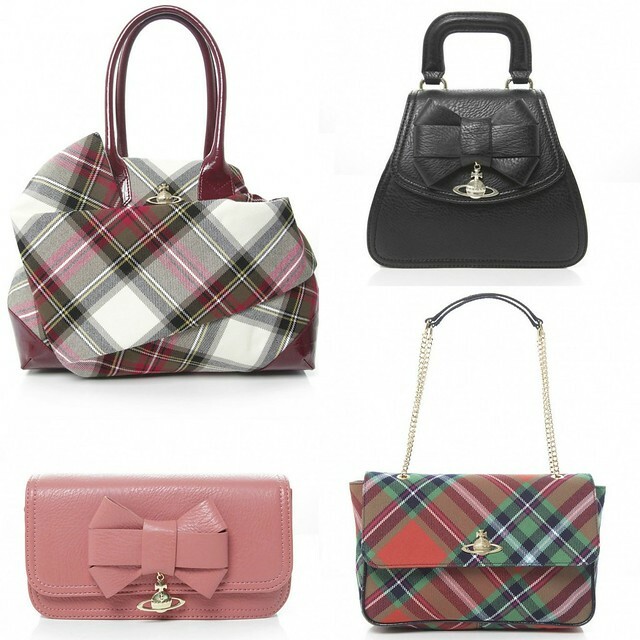 The black bow shoulder bag is definitely being added to my wishlist. Are you a fan of British punk style or is Parisian chic or Italian glamour and excess more your thing? I like the outfit - the bag is definitely a winner! I have to stop myself taking my bag to work and gigs because it isn't really appropriate but I love it. What a beauty of a bag! I might have to steal it! I still need to get a Viv bag. In love with your bag, I love Vivienne Westwood. This bag is beautiful, you are the perfect advert for Vivienne Westwood! Ohh these bags are gorgeous!!! love that pink bag and by coincidence I may have found a matching nail varnish, fantastic!!!! Ah that bag is soo nice! Love the colour :) and your outfit! Hope you're feeling better!